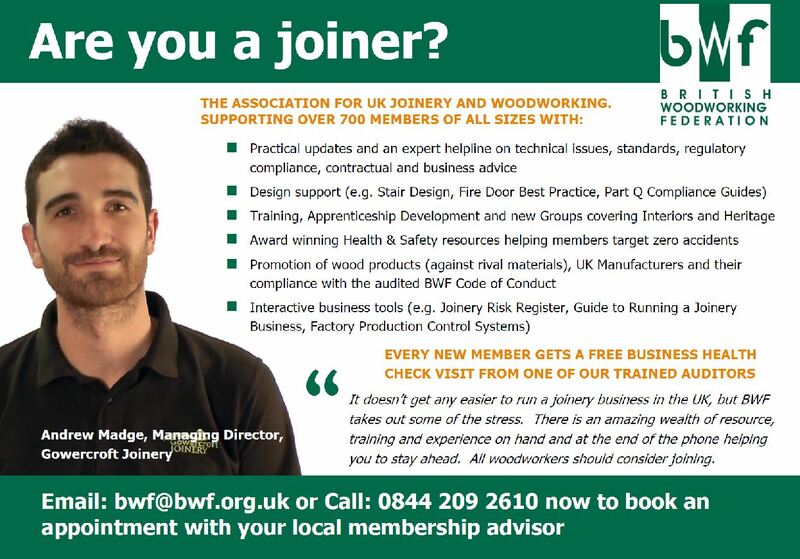 British Woodworking Federation is the trade body for the woodworking sector and open to businesses of all sizes (subscriptions are scaled to ensure cost is fairly spread). As a Trade Body with over 700 members, we are a not-for-profit business and owned by the members (a sort of co-operative). The Strategy is set by an Executive Board made up of our CEO and passionate members and supported by our dynamic and dedicated office team. Everything we do is focussed on helping support woodworking businesses with day-to-day problems and helping ensure they are fit for the future. Membership provides a range of benefits targeted specifically at companies with a workshop or manufacturing facility, but we also offer associate membership, recognising how important suppliers are to our sector. If you want more information, why not complete this this quick response form and will send you an email to confirm your interest and then one of our experienced membership teams will be in touch to talk you through the membership process.